Like most Americans, we are constantly comparing our progress to our goals. And July marks the start of the second half of the year – a natural time to compare where you’re at and reflect on your successes and failures. If you own a self-storage facility, then it’s time to see if you hit your numbers for the first half of the year. If you’re trying to buy a self-storage facility in 2014, then it’s time to step up your game, since there’s only half a year left. Some people hate the accountability of goals, while others are opposed to living a life that structured. But there’s no question that those that follow a roadmap get to their destination faster than those that make it up as they go. One of the key pieces to any real estate deal is obtaining the financing. 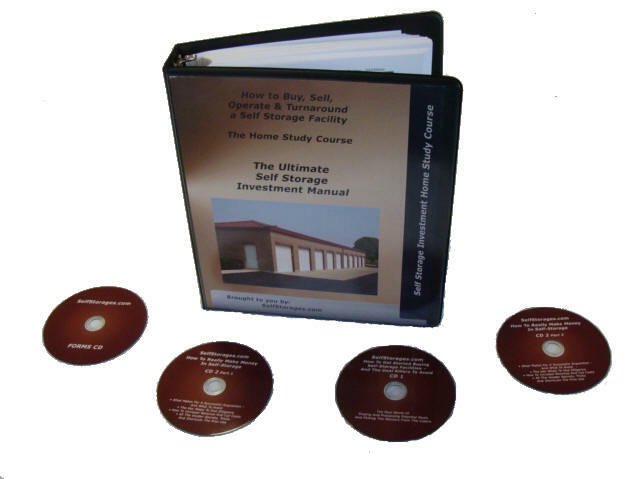 So how do you obtain a loan on a self-storage facility? As you’ll see, there’s a methodology to the process, and those that follow the correct steps fare much better than those that just thrash about. Bank financing. This is your traditional-style 20% down and five year term stuff. Typically full recourse, and on a 25 to 30 year amortization. Expect the rates to be around 5% to 6%. Seller financing. This is our favorite type, as it spares you the cost of a bank loan (points, legal fees, third party reports) is non-recourse, and does not require any type of committee action or credit check. If the property passes your inspection period, then you go straight to closing with no risk. Expect to pay 5% to 6% interest, maybe a ten year term, and the down payment can range from 0% to 20%. Conduit financing. This bank-loan derivative has a ten year term, fixed rates of around 4% to 5% right now, and is non-recourse. The downside is that you cannot pre-pay it without a huge penalty called “defeasance” and it has large legal costs up-front. It is only available on transactions in which the loan is about $1.5 million and up. Master Lease with Option. This is an unusual construction in which you lease the property – as is – from the seller and do the turnaround before closing on it. This is normally done when the property does not have strong enough numbers to support the seller’s mandatory price. Hard money. This is essentially borrowing from non-bank sources, such as an individual. These are often scary loans, as they have high interest rates, short loan terms, and can even feature default remedies that are onerous. Just like you have to know everything on the menu to order the right item at dinner, you need to understand these different financing types in order to make the right decision. Before you even begin to think about borrowing money, you have to know what you have to offer the lender. How much do you have for a down payment? What’s your personal credit look like? What’s your experience look like in running a self-storage facility? The answer to these questions will give you an immediate indication as to the type of financing type you should be seeking. Nobody ever obtained a loan without building a great presentation to sell the bank on it. It should contain an overview of the industry and why this is a great deal, as well as biographies of the owner(s), and detailed budgets and assumptions, and complete photos of the facility. Think about what you would want if you were a banker, and work backwards. The better your proposal, the greater the odds of success you have. In many transactions – especially those over $1 million – you may be money ahead to use a mortgage broker. These individuals do all the work for you: they build the package, meet with the banks, and report back to you with the offers for your review. We use mortgage brokers frequently. One of the best in the industry is Security Mortgage Group at (585) 423-0230. Many a financing deal has been ruined with the borrower refuses to compromise. For example, if you want an interest rate of 5% and the bank offers 5 ½%, the correct answer is to take the 5 ½%. You have to take what you can get, and the bank holds more cards that you do. I have seen deals collapse over trivial points, such as the lender wanting to do a 25 year amortization instead of a 30. You have got to be willing to be flexible to succeed. Getting a loan on a self-storage facility is not that hard. But you have to use your head and understand the process and work it aggressively. If you can’t get a loan, the #1 problem is normally you. 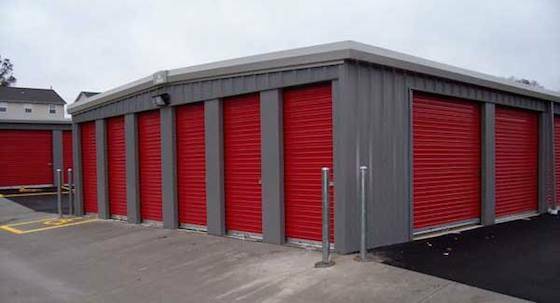 Did you know that there are around 50,000 self-storage facilities in the U.S., but only 800 in England? And England has more self-storage facilities than the entire rest of Europe combined. England has 30 million square feet of storage space, but America has 2.3 billion. So while the British invasion may have hit the U.S. in the 1960’s, there’s no question that America won the war on storage.